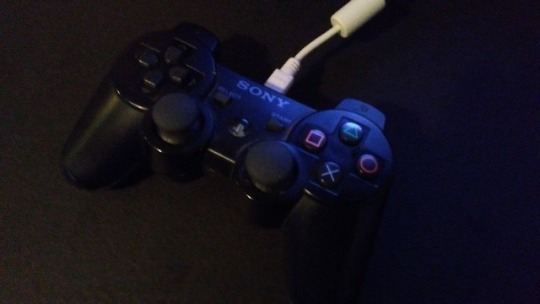 PS3 controller as a mouse in raspberry pi? 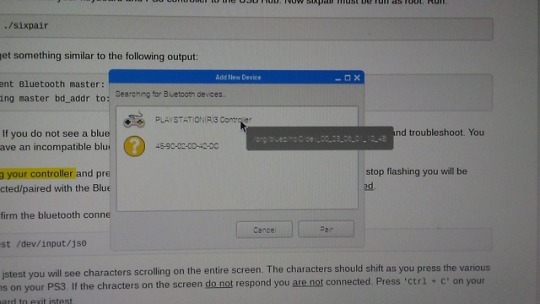 im having trouble in getting rapsberry pi recognize the ps3 controller as a mouse. 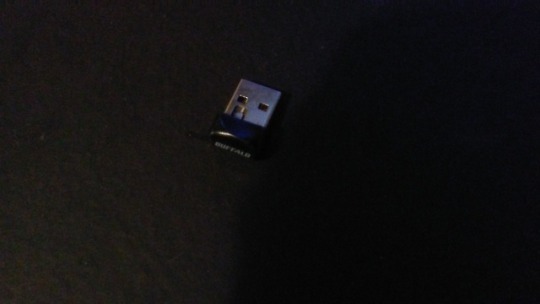 raspi sees the controller with the dongle. but i need a pin code? what could the code be? 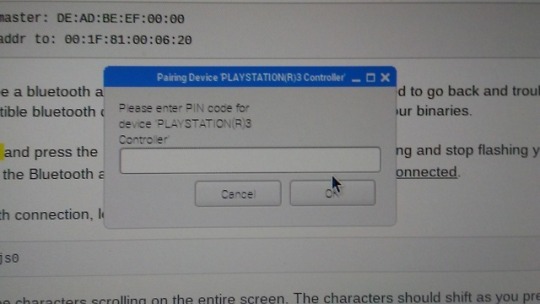 Re: PS3 controller as a mouse in raspberry pi? 80% chance that the pin is "0000". Which Raspberry version do you use?